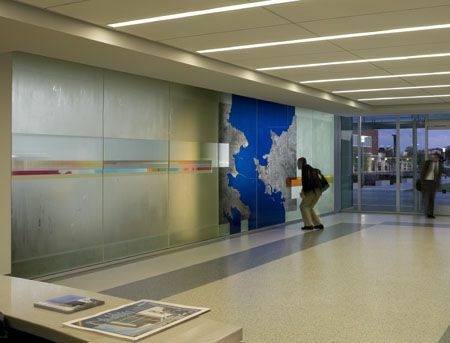 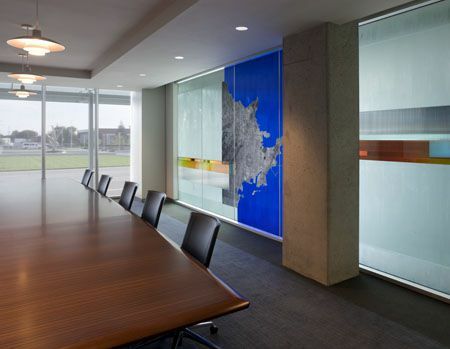 Civic Elegance was the stated thematic goal for these 10-foot x 35-foot glass walls. 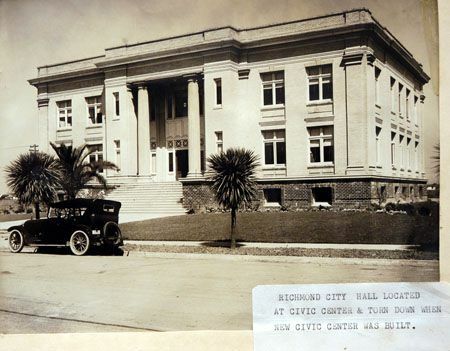 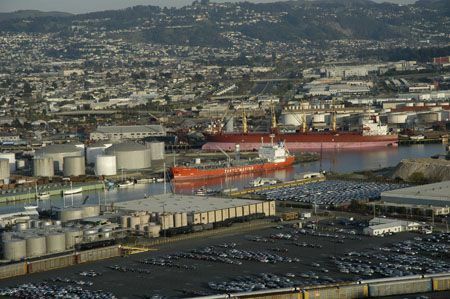 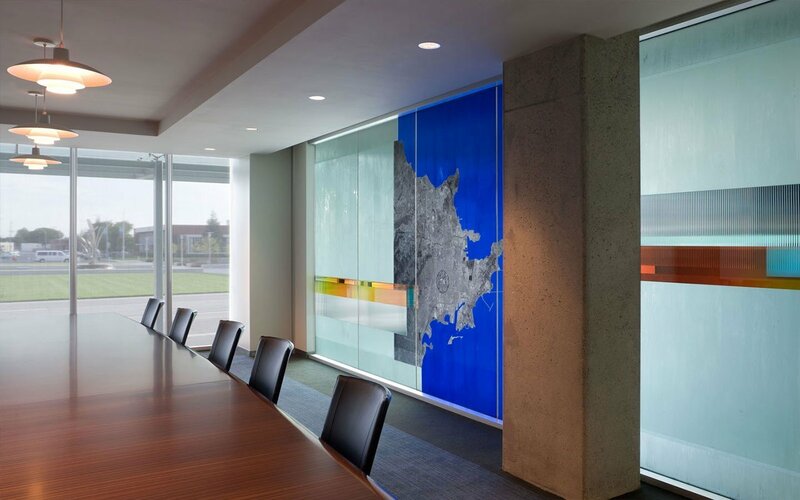 On one wall, a magnified view of the Civic Center is featured on an aerial view of the greater Richmond area, giving viewers a sense of place in their community. 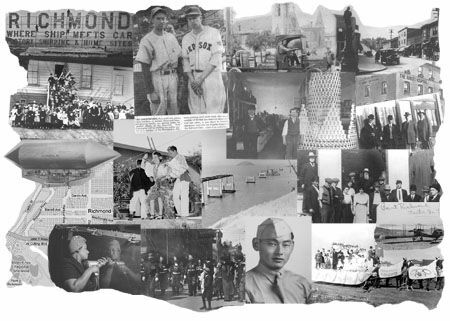 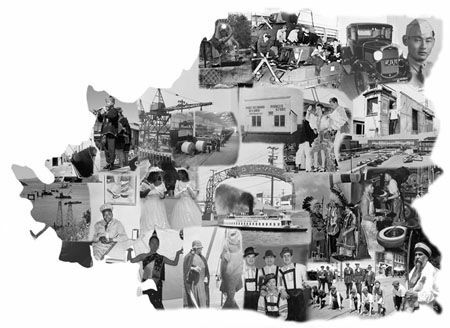 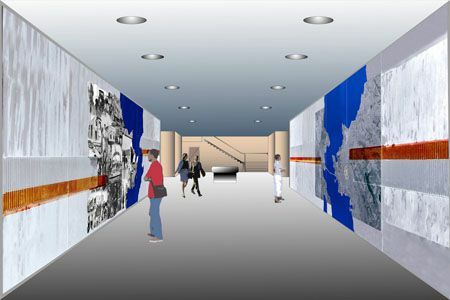 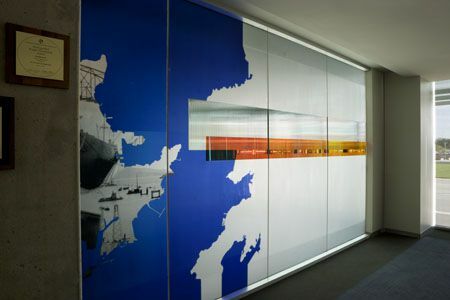 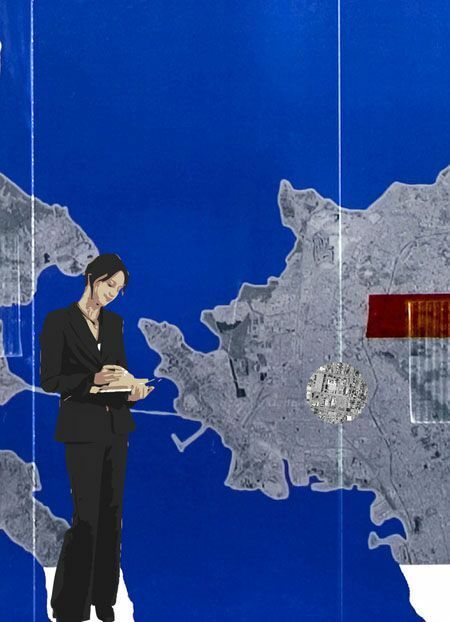 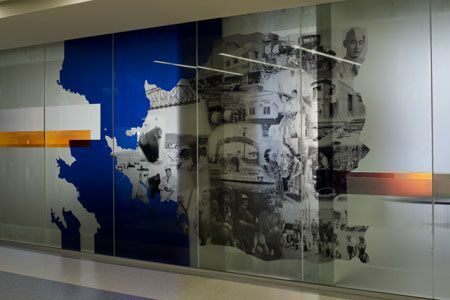 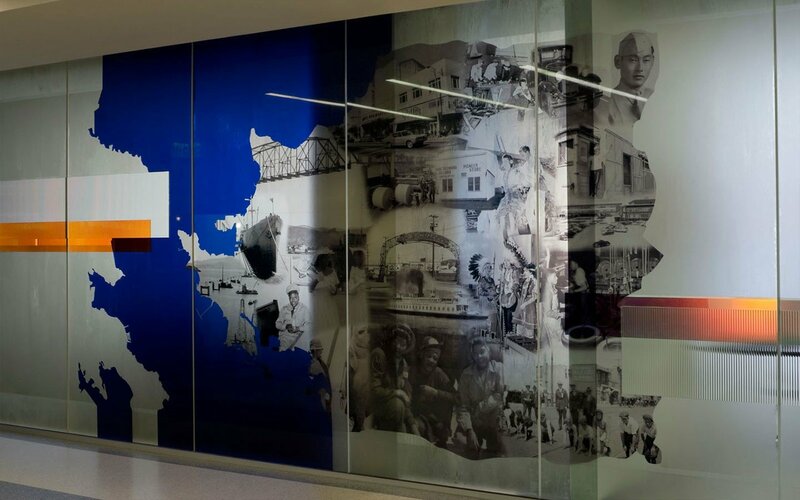 The opposing glass wall fills the land mass area of the map with a collage of historical images of the people and places of Richmond, illustrating the city’s diverse cultural heritage and historical contributions. 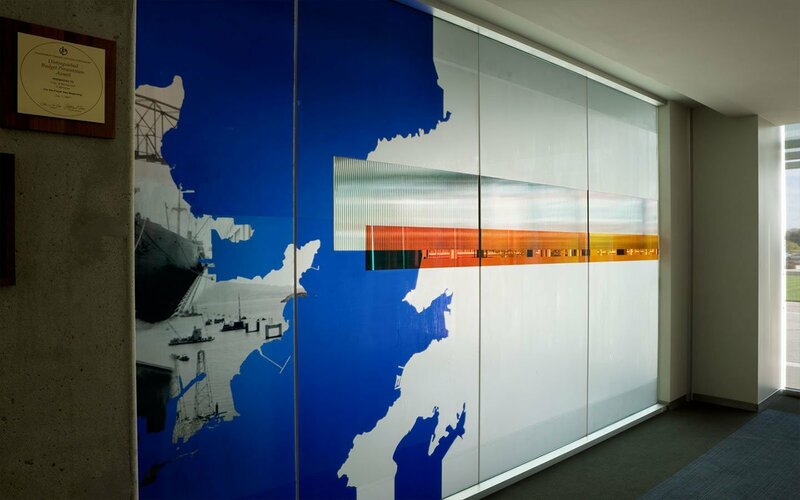 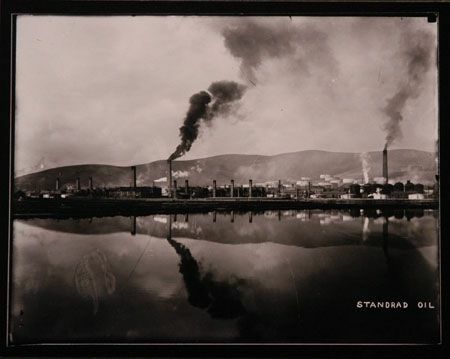 The images are rendered in High Definition Thermal Encapsulated film, an environmentally friendly alternative to traditional chemical printing. 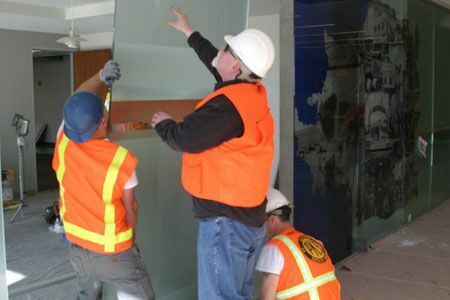 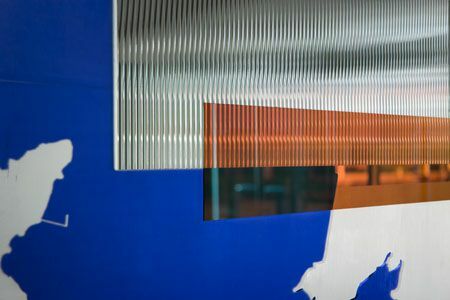 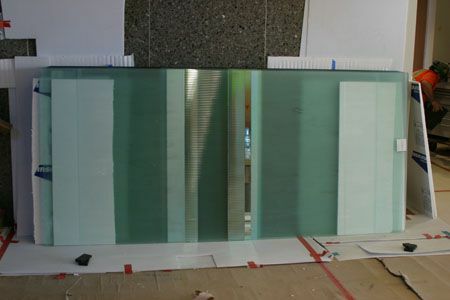 Tempered safety glass is laminated with fluted glass that was used extensively in the 1940’s and 50’s, creating a connection with the architecture of the Civic Center. 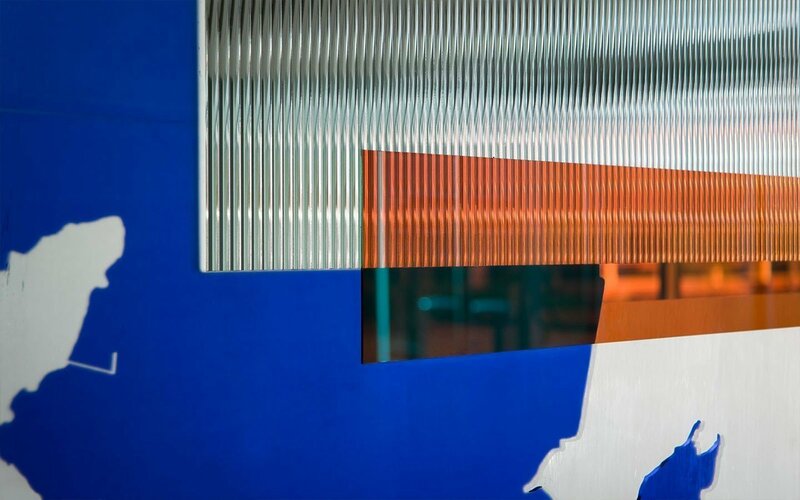 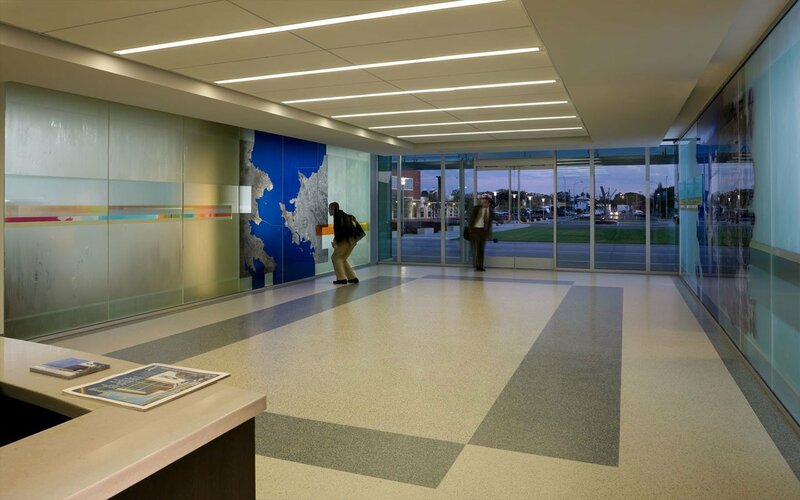 The fluted glass overlaps bands of dichroic glass that change color and pattern as visitors pass through the lobby.